The operation must be ruthless, thorough and silent. Without alerting the watchful enemy, a unit of highly trained Japanese agents will throw up a ring of steel to block any escape from the vast battleground. Despite being vastly outnumbered, the unit’s chief commander is confident of total victory against the enemy army — tens of thousands of rats expected to scurry loose when the world-famous Tsukiji fish market closes next month. 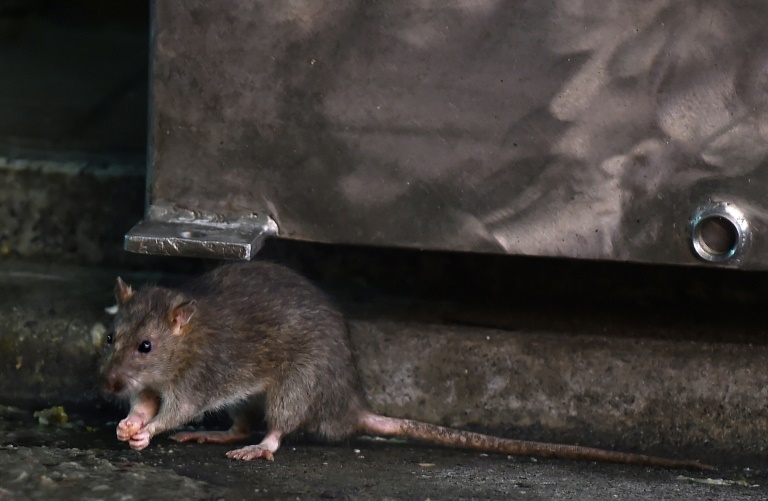 The 23-hectare (57-acre) market near Tokyo’s swanky Ginza district is home to “not thousands but tens of thousands” of rats, attracted by fish offcuts and the market’s maze of sewers, according to Tatsuo Yabe, a rat expert. After a fabled 83-year history, the world’s biggest fish market, which is also a huge tourist magnet for its pre-dawn tuna auctions, will move to a brand-new facility in Toyosu, about 2.3 kilometres (1.4 miles) away on the waterfront. The moving operation is unprecedented. Some 900 businesses handling 480 kinds of seafood worth $14 million daily — as well as 270 types of fruits and vegetables — will relocate over a period of five days. Thousands of trucks and forklifts will take part in the move, with tonnes of waste produced in the process — manna from heaven for the furry denizens of the sewers. “They will likely start moving en masse once they notice something unusual… The week after the market closes on October 10 will be the major battle,” a Tokyo government official who commands the Tsukiji anti-rat operation told AFP. To prevent a mass exodus from Tsukiji, Tokyo officials — helped by veteran rat exterminators — are busy blocking pipe and sewer exits and plugging holes in fences with corrugated sheets. Before the market is torn down, they will erect an impregnable three-metre (10-foot) steel wall around the site and slowly move in through the perimeter to “corner and catch” the rodents, said the operation’s commander, who asked not to be named. In addition, they will instal 40,000 sticky sheets to catch rodents, along with traps and use 300 kilograms (660 pounds) of rat poison. Restaurants and bar managers in the area surrounding the market are on red alert for a possible influx of unwelcome rodent visitors. “It’s frightening,” said the owner of one restaurant in Ginza, one of Tokyo’s most fancy wining and dining districts just a stone’s throw from the market. “We heard rats scrabbling around when an old theatre building was torn down in this neighbourhood,” said the 56-year-old restaurateur, who wished to remain anonymous. The Ginza Street Association, which brings together local businesses, even created a special anti-rat taskforce last year. Tokyo exterminator GP Corporation is telling clients in the area to keep their eyes peeled. “We are calling on them to stay vigilant and not even keep the doors open because sewer rats may come right in once the moving starts,” said Kazuya Takahashi from the company. Hiroyasu Ito, a veteran fish trader as old as the Tsukiji market itself, has known Tsukiji since the days when buyers and sellers communicated via telegram. Now chairman of the Seafood Wholesalers’ Association, Ito is aware of the venerable market’s issues. “We have many problems. Birds fly in, and many things like rats come in and out freely,” he said about the open-air facility. But he stresses that the market has an impressive food hygiene record. In recent decades, market players have made the utmost sanitary efforts, with special inspectors in white jackets checking on food safety every day. “We’ve hardly had any food poisoning incidents in this market. We are proud of it,” Ito told AFP. Nevertheless, he has high expectations for the new Toyosu facility, equipped with state-of-art refrigeration. The gigantic complex stands on reclaimed land nearly twice as large as Tsukiji, and it is fully air-conditioned and prepared to welcome its new tenants. “The biggest difference is that Toyosu is an enclosed market, so all buying and selling will be done in this building,” said Masataka Miyake, a Tokyo official preparing for the new facility. Originally planned in 2016, Tsukiji’s relocation has been postponed several times, held up by revelations of heavy soil contamination at Toyosu, a former gas plant. “I hope the new Toyosu brand will soon become a global household name,” Miyake said, describing Tsukiji as “very popular and lively”. Doors and shutters at the new facility are sensor-controlled, and when they are open, air is blasted down from the ceiling — like an invisible screen.